Students in grades 3 and up can get a head start on learning computer science in these 18-week course. Students will receive a gentle introduction to the math and logic necessary to create their own computer programs in Scratch and JavaBlocks. With the help of an on-line instructor and in-class teaching assistant, students will make a final game project. Students will also be taught fundamental skills to use their computers more effectively. Computing Fundamentals, part 1 (FUN-1): Learn to program and make games on your computer! 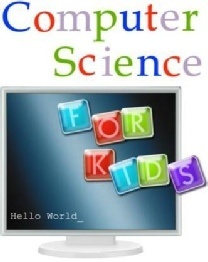 Students will receive a gentle introduction to computer programming using Scratch. Basic programming logic like variables, loops, conditionals and events, as well as coordinate math, will be covered. Typing proficiency not required. Computing Fundamentals, part 2 (FUN-2): In FUN-2, students become exposed to Java through JavaBlocks, a drag-and-drop programming language created by KTBYTE instructors that serves as a transition to a typing and "typed" computer language. By using this program, students can focus on achieving a theoretical understanding of high level Java syntax, without having to worry about typing and low level syntax. A certain level of CS understanding is needed prior to registering for this course. In FUN-2A, students will learn to make programs and games by applying variables, conditional statements, and input/output. This course places emphasis on storing and modifying program states. In FUN-2B, students will learn/review variables, conditionals, and be exposed to more advances concepts like loops, lists and functions. Evaluation is required for any new students who want to join FUN-2 sessions. Please contact the school to schedule one with the instructor. Hardware Requirements: Windows or Mac laptop with Core i3 and above CPU, 2GB RAM or more, WiFi enabled. Instructor: An experienced, full-time educator from KTByte Computer Academy, with a computer science degree from Cornell University. 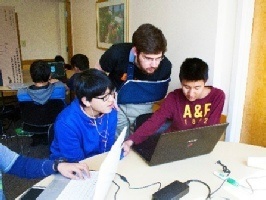 With over 18 Computing Fundamentals classes taught, he teaches students the technical aspects of programming in an enjoyable and interactive environment. He also teaches more advanced classes, with some of his students placed into the Silver and Gold divisions of the USA Computing Olympiad.